When you first start playing guitar, everything is so new that you might feel a little overwhelmed. There’s so much to learn! The pain in your wrist and the torn skin on your fingers is probably new. Also, you’ve probably never tried training your fingers to do such meticulous movements before. In spite of that, you’re probably eager to get up and running. It will definitely take some time to become a great player, but there are certain shortcuts you can take. One of the quickest ways to pick up new songs, riffs and scales is by learning to read guitar tab. 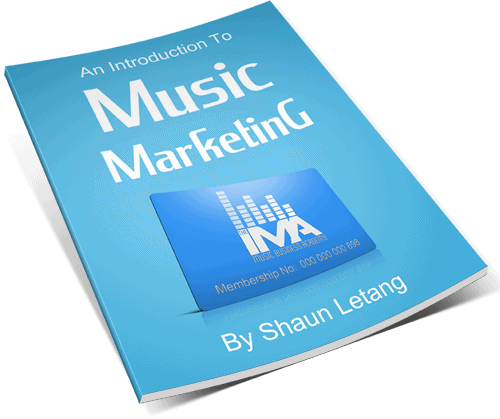 Tab is one of the most accessible ways of reading guitar music because it is much easier to understand than standard notation. Here are the steps you need to take to learn how to read guitar tab. 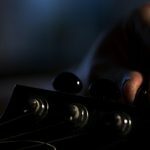 You’ll probably find this guide more useful when partnered with some good video guitar lessons. 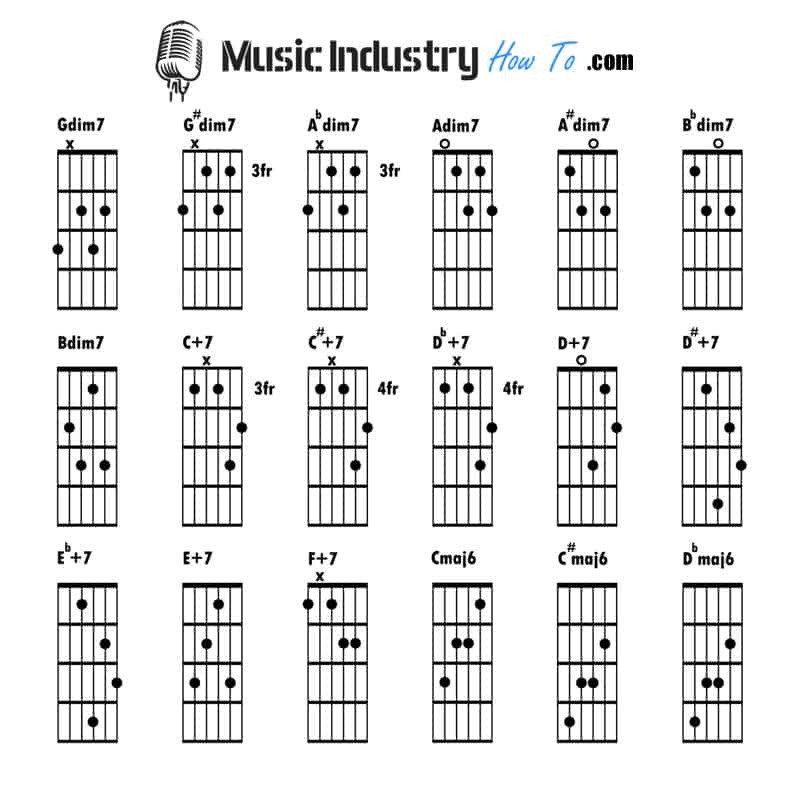 The first step to reading guitar tab is identifying the strings on your guitar. You have to become a pro at this upfront, or you will struggle down the line. 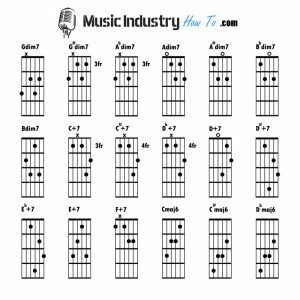 I’ve seen far too many students try to skip this step, but if they never take the time to understand how their guitar is set up, they’ll end up having to depend on a someone else (like a teacher or a parent) to read their tab for them. Don’t worry; it’s actually really easy to learn to read tab, and I’m always surprised when a student struggles as much as they do. Anyway, your strings, from thickest to thinnest, are: E-A-D-G-B-E. Let’s number these as well, from thickest to thinnest: 6-5-4-3-2-1. I know it might seem like they’re numbered backwards, but you have to get used to the sixth string being at the top, and the first being at the bottom. My first teacher encouraged me to think of it like a building, and I think that works (the first floor is at the bottom; the sixth floor is at the top). 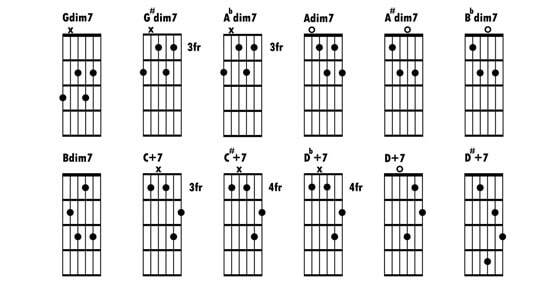 The next step to reading guitar tab is understanding the basics. The first thing you need to know is that tab is read from left to right. Settle that now in your brain so that you never have to think about it again. The next thing you should know is that the horizontal lines represent the strings on your guitar (there are six lines, just like the strings on your guitar). The tricky part is this; the first string is the one closest to the top of the page (or screen), and the sixth string is almost always closest to the bottom of the page. That means the first string is at the top, and the sixth string is at the bottom. Some students insist on having it written the other way, because it seems backwards. I would not advise that, because virtually any tab you’re going to find in magazines or on the internet is written the way I just described it. You better get used to it! There’s one more thing you need to know, and we’ll have covered the basics of reading guitar tab. If you’re looking at a piece in tab form right now, you should see numbers on the lines (individual strings). These numbers represent the frets on your guitar. You should be starting to put the pieces together now. To recap, there are six strings on your guitar. Each line on a tab sheet represents a string. Numbers appear on certain lines to indicate what fret to play. So, for example, if there’s a five on the sixth line, that means that you would play the fifth fret on the sixth string. Oh, and if you happen to see a 0 (zero), that means to play an open string. If you see numbers stacked vertically, that means you need to play those notes simultaneously to create a double stop or a chord. You don’t need to know exactly what those terms mean right now, you just need to know when you need to play two or more notes together. Ok, so next we’ll look at other important elements you really should know about reading guitar tabs as a beginner. Now that we’ve covered the basics, you should have a pretty good idea of how to read guitar tab. However, because different players use a variety of different techniques on the instrument, transcribers have had to come up with ways of notating these. For better or for worse, there isn’t necessarily an accepted standard for notating all of the techniques. We’ll take a moment to cover the basics, but just keep in mind that different tabs and books have their own conventions. “h” stands for hammer on. This is a technique where you pick one note, and hammer another finger down on a higher note on the same string without picking it. It is also possible to hammer on from an open note. “p” stands for pull off. A pull off is basically the opposite of a hammer on. You start with two fingers down on the same string, one higher than the other. After picking the first note, you quickly “pull off” the finger on the higher fret, which causes the lower note to ring out. It is also possible to pull off to an open note. “/” is a slide. If it’s pointing in this direction (/) then you would slide up on the neck (towards the sound hole or pickups). Conversely, if it points in this direction (\), you would slide down (towards the headstock). 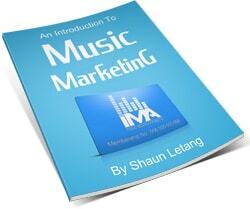 First and foremost, guitar tab is not music. 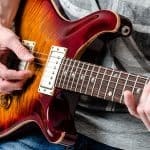 There are ways of showing rhythmic patterns in tab, but the main difference between standard notation and guitar tab is that guitar tab usually only shows you what notes you need to play; not what kind of rhythm you need to apply to each note. If you’re looking to perfect a song, guitar tab isn’t always reliable, especially on the internet where anyone can post tabs for any song. Finally, like I mentioned earlier, conventions can vary. Transcribers are usually pretty good about providing you with legends to show you how they’ve notated specific techniques, but it can vary; especially if you’re going from a tab on a site like Ultimate Guitar to a book, and then to a magazine.